So there's this project I pushed aside forgot about for oh, about a year (if not longer). Today I decided I'm going to finish it. It's a little quilt for baby J, my very first quilt ever. I've noticed that he just loves to cuddle with blankets when he's in is crib. I'd love to see him cuddling something that I've made just for him. All that's left is to add the binding, I'm almost there! I started cutting today. I'm not sure that I have enough fabric to finish it all right now, but at least I'm getting started. 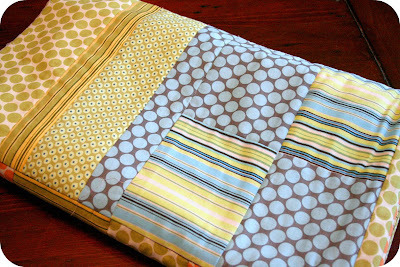 There's nothing like cuddling with a warm, cozy, handmade quilt. Did you notice anything new about the blog? Look to the right.....see it? Yes, that's right, the shop is now open again for business! (insert happy dance here). Yay! I won't be shipping any orders out until Sept 1st, but you can now buy items, which is so very exciting. A few of the holiday gift tags have been listed. I have yet to get to listing the holiday stationery sets. Are you following me on twitter? I will be updating new listings on there frequently! These are exciting times for elliven! 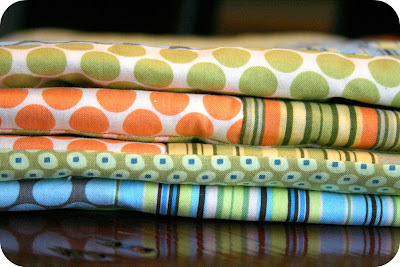 I have to get to the fabric store before I can start producing new designs, but am hoping to have them listed within the next week or so. I hope you are all enjoying a lovely weekend! 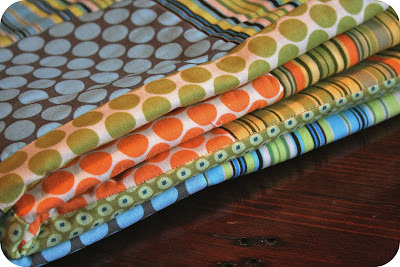 I love the colors you used in Baby J's quilt!! I'm sure he will love it just as much!! thanks so much Tonya! It's definitely been a work in progress, to say the least, but I'm happy to be working on it again. Hoping to finish it up soon! Thanks miss Kate! Hopefully I finish it sooner rather than later! A little bit of holiday spirit! Lions and Tigers and Bears....OH MY!